The year is 2056, and the world is gradually recovering from a catastrophe that saw half the planet disappear beneath the oceans, with the loss of three and a half billion people. The waters are slowly receding, but life for surviving humans has become harsh and often cruel. Food is scarce, with precious little land to grow it on. The loss of any governmental leadership has led to the rise of criminal factions vying to become top dog, dealing in stolen food and drugs, and the most vicious of them all is Stenga. To stop what was left of the world sliding into anarchy and chaos, various civilised groups from around the half drowned planet came together to form an organisation called the Committee. The committee immediately sanctioned the law givers, tough, no nonsense lawmen dealing out instant justice, for even the slightest misdemeanour. With ruthless efficiency, the law-givers gradually restored some semblance of law and order, and, so successful were they, they would very soon go on to become the all-powerful Terra Force. 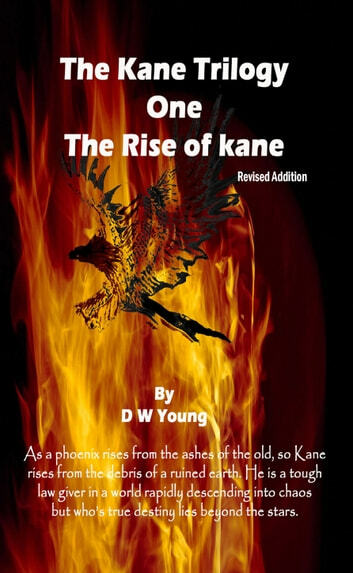 This first book in the Kane trilogy, charts his meteoric rise from a tough but fair-minded, and strangely gifted, young law giver, to Terra Force Commander, and eventually to a fully-fledged member of the New World Council. 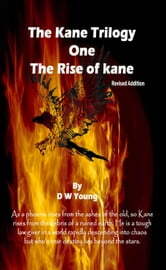 During his rise to prominence, Kane must face many deadly trials… many of which would destroy a lesser man. First, he must deal with the assassination of the Deputy Leader of the new World Council, and this is swiftly followed by the vicious death of his good friend and mentor at the hands of Stenga’s equally evil henchman, Gunner Rogh. Later, he is engaged in a battle with Stenga himself, and his gang of cut-throats in the Luna Colony. The fierce battle culminates in many deaths as Stenga blows the pressure dome to aid his escape, but not before Kane gives him a wound to the face that he will never forget, making him all the more determined to kill his arch enemy, Kane. Kane learns that Stenga is secretly receiving information from an informer inside Terra Base, allowing him to keep one step ahead of him and the law, and he sets out to find the informer and terminate him or her. But, when the suspect dies, killed by the bases own defence systems, the question is, did the right person die, or, was he indeed framed, and marked for death by the real informer? Consumed with hatred, Stenga sets a trap at a food depot in order to kill as many troopers and depot workers as possible, in revenge for Gunnar Rogh’s death. During the battle, Kane finds a badly injured Trooper Captain, and what’s left of her team. He removes the officer’s helmet, to ease her pain and comfort her, and in doing so, he is immediately captivated by her beauty. As they look into each-other’s eyes, they form an instant attraction, and Kane is all the more determined to get Tara and the remainder of her men to safety. While Tara recuperates in the medi unit, Kane visits her to see how she is responding to treatment, and their obvious attraction for each other becomes even stronger. Both are determined that they will be together, but maybe Stenga has other ideas.